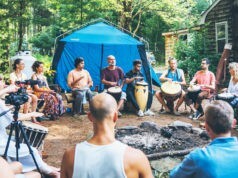 Welcome to The Tribal Rhythms Gathering, a woodland camp-out retreat with masters of music and sacred traditions. 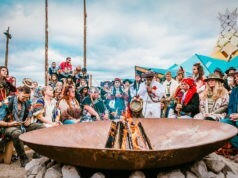 Experience musical performances and workshops in the fields of didgeridoo, percussion, Tuvan throat singing, traditional world music rhythms, handpan, beatboxing, sacred song and much more. 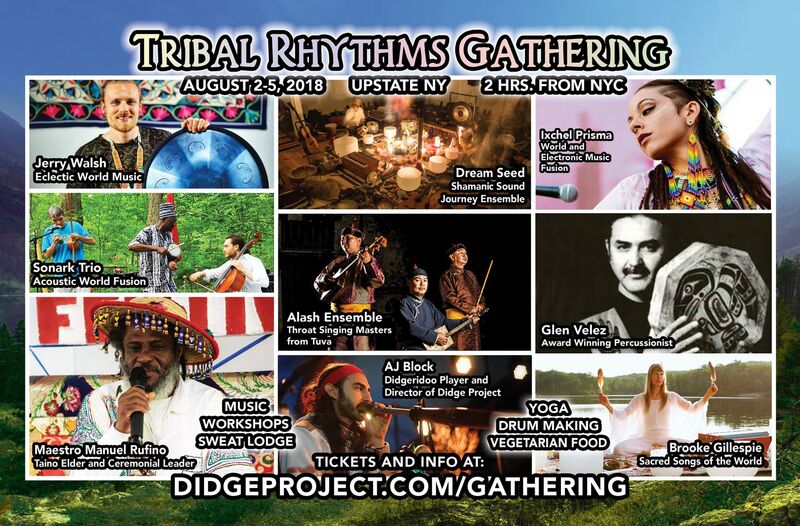 This year’s gathering will feature artists: Alash Ensemble (Tuva), Glen Velez featuring Rhythm Vocalist Loire Cotler, Maestro Manuel Rufino (Taino, Dominican Republic), Dream Seed: Shamanic Sound Ensemble, Ohana (Brooke Gillespie), Ixchel Prisma, Jerry Walsh, AJ Block, Sacred Song School with Xango Shola and more! In addition, participants will have the opportunity to experience a traditional healing sweat lodge with Taino elder, Maestro Manuel Rufino, take daily yoga classes, and be provided with full vegetarian meals throughout the festival. Prepare yourself for a mesmerizing gathering of global culture, world-class music, workshops, and ancient shamanic wisdom. Accomodations: There is camping available for free on site. Hotels are available 20-minutes away. All participants who are camping must provide their own tents, sleeping pads and sleeping bags. We will send you information on the nearest hotels as soon as you register. Food (All-inclusive): Vegetarian meals will be provided throughout the retreat. Meals include Thursday dinner, all meals for Friday and Saturday, and Sunday breakfast and lunch. Drum making participants will also be provided with meals through Monday. We guarantee you will feel satisfied with quality food prepared by quality people. Location: This event is being held on private land upstate New York (2 hours driving from New York City). The exact location will be given upon registration. Arrival/Departure: Activities begin the night of Thursday, August 2 at 7pm with dinner and opening ceremony. Activities will end on Sunday, August 5 by 5pm. Parking: Parking is available on site and we encourage carpooling as much as possible. Please let us know where you will be coming from and if you would be able to bring additional people in your vehicle. Public Transportation: Shuttles can be arranged to and from the event site and nearby towns. We will send you the best transit options via email as soon as you register and will help you find the best option. A Substance-Free Event: Tribal Rhythms Gathering is an alcohol-free, drug-free gathering. This helps us to promote spiritual cleansing, health, family, and community building. Ticket cost is $347 for a full EARLYBIRD event pass and $397 for a regular full price ticket. This price includes meals, accomodations, workshops, sweat lodge, concerts and all activities Friday through Sunday. This price does not include the drum making workshop, details of which you will find below. Ticket cost is $150 for a 1-day pass. This includes 3 meals and all event activities during a 24-hour period. 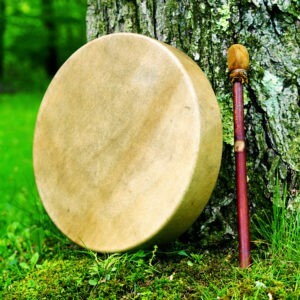 Join Dream Seed’s Xango Shola in making your own shamanic frame drum. 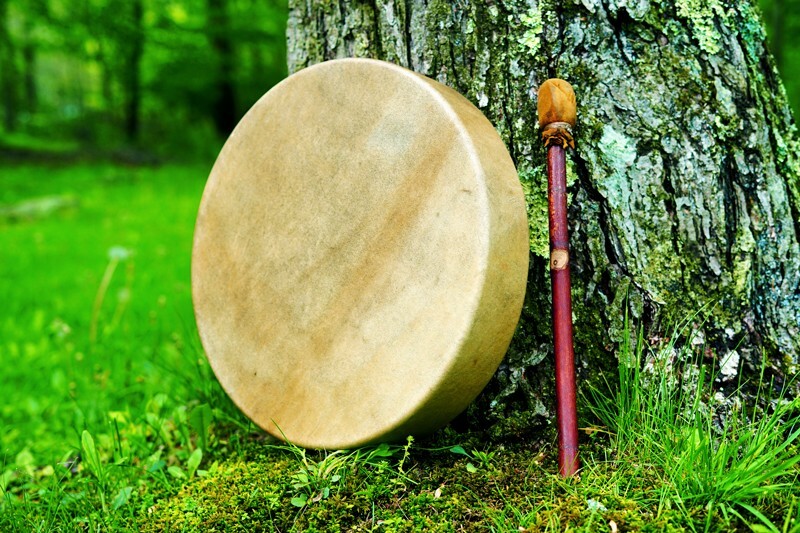 The drum is a sacred instrument that invokes the heart and speaks a universal language. Its rhythmic heartbeat is at the center of ceremonies held by people all over the world. In this workshop we will come together in a sacred space to create our own ceremonial drums and learn a frame drum-tying technique that Dream Seed received from our community’s spiritual leader and elder, Maestro Manuel Rufino. We will be making one-sided hand drums, using wooden frames made of maple; the hide of elk, buffalo or deer; and sinew. Workshop includes all drum making materials. Participants may opt to bring their own lunch or to participate in communal meals at the gathering for $10 per meal (breakfast and lunch available). Participants who are only attending this workshop are not required to purchase other tickets to the Tribal Rhythms Gathering. REGISTRATION ENDLINE: WEDS., JULY 25! Drum Making Workshop cost is $275 – $290 (depending on drum size) in addition to the event ticket price. Participants who are only coming to this workshop do not need to buy any other festival ticket. Click here to Register for the Drum Making Workshop. Earlybird admission tickets cost $347 (20 available). After the first 20 tickets sell, tickets will increase to $397 each. The Drum Making Workshop costs an additional $270-295. Alash Ensemble is comprised of masters of Tuvan throat singing, a remarkable technique for singing multiple pitches at the same time. They are among the leading exponents of traditional Tuvan instruments and are deeply committed to traditional Tuvan music and culture. At the same time, they are fans of western music. Believing that traditional music must constantly evolve, the musicians subtly infuse their songs with western elements, creating their own unique style that is fresh and new, yet true to their Tuvan musical heritage. Glen Velez has been titled, “The undisputed master of Frame Drums” by the New York Times. The Jerusalem Post has described Loire Cotler’s performance as being, “Peerless artistry.” Together they create a duo full of energy, passion, drums, vocal percussion, and deep respect for the art that they create. As a four-time Grammy Award Winner, Glen Velez is the icon of the modern frame drum movement. Velez often tours around the globe and performs solo repertoire as well as with many ensembles. His career has expanded over four decades; bringing a new genre of composition and drumming into contemporary percussion. Through combining different hand drumming techniques from around the globe, he has created his own performance style. Velez currently teaches at The Julliard School and Mannes College of Music. Jazz Rhythm Vocalist, Loire Cotler, has defined her life by the healing power of rhythm and jazz through the art of vocal percussion. Her style combines a range of techniques from Medieval, Be-bop, Avant-Pop, South Indian drum language, Middle Eastern taksim, and others. She has been featured as a soloist with the National Chinese Orchestra, Long Beach Opera, and the American Composers Orchestra. Cotler is a passionate educator and certified Music Therapist and presents master classes worldwide, including The Julliard School. Please visit: www.rhythmvocalist.com for more info on Loire Cotler. Maestro Manuel Rufino is a recognized elder in the Taino tradition and World Director of M.A.I.S.C. He is a spiritual guide, gifted ceremonial leader and teacher of sacred initiatic traditions of the world. Maestro Manuel is also an artist, certified iridologist, naturo-therapist, vegetarian chef & the visionary guiding the Golden Drum community and many vegetarian restaurants including Jungle Café in Brooklyn. Guided by his teacher, Maestro Domingo Dias Porta, Maestro Manuel has been following the trails of indigenous healing arts for over 40 years. 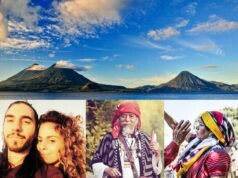 Maestro Manuel travels around the world sharing initiatic traditions, leading workshops, lectures, sweat lodges and healing rituals. In 2010 Maestro Manuel and a number of his students opened Golden Drum as a space for sacred traditions in New York City. Founded to give voice to the worldview of Native Americans, indigenous peoples and the esoteric schools, Golden Drum features living representatives and students of these great traditions. Dream Seed is a shamanic sound ensemble featuring members of Golden Drum and Didge Project. Shamanic chanting, mantras, overtone singing, Native American songs, indigenous music, didgeridoos, crystal singing bowls, bells, gongs, harmoniums, tuning forks and other overtone-emitting instruments are used to create an environment conducive to deep relaxation and inward investigation. Participants are led through guided meditations and sound healing practices designed to harmonize body, mind and spirit. SONARK TRIO is a musical braid of three diverse traditions. Bringing together the sounds of Africa, North and South America, Joakim Lartey: percussion, Gabriel Dresdale: cello, and Thomas Workman: flutes, didgeridoo, tuba and more, meet in the middle exploring an infinitely new soundscape, finding the balance in the dance between freedom and form, Sonark Trio’s repertoire includes a mixture of free improvisation and composed pieces. These include original works, the music of Brazilian virtuoso Hermeto Pascoal, South African composer Abdullah Ibrahim and Bassist Dave Holland. 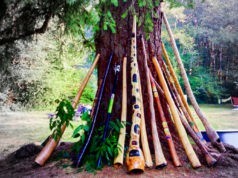 AJ Block is the director of Didge Project and is active as a didgeridoo teacher and performer. In addition to didgeridoo, AJ has spent years studying music traditions from all over the world including jazz (trombone and piano), western classical music, Indian Classical Music, guitar and world percussion. 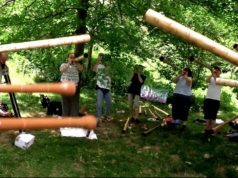 AJ has developed a number of programs for Didge Project including The ABCs of Didgeridoo, The Didgeridoo Skills Course, and Circular Breathing Mastery. He is also the author of Didge For Sleep, a didgeridoo learning method designed specifically for people with Sleep Apnea. As a performer AJ is a member of Dream Seed: A Shamanic Sound Journey. AJ is a founding member of Sacred Arts Research Foundation, a 501(c)(3) non-profit organization dedicated to the preservation of sacred art traditions through education, ritual and study. As a student of spiritual teacher Maestro Manuel Rufino AJ is an active member of the Golden Drum community. Ixchel Prisma is a vocalist, song writer, and sound healer who brings the medicine of beauty and vibrancy through her music. Subtle electronic sounds and acoustic instrumentals are blended together with uplifting lyrics, wide ranging vocals, and poetry, submerging listeners into a full spectrum experience. In addition to writing her own material, Ixchel has also been studying and singing sacred healing songs from many indigenous cultures for many years. The intention of her music is to facilitate opening through movement in combination with the medicine of prayer, intention and sound. She has been performing since childhood, and studying indigenous music culture and sound healing for 5 years. Ixchel has performed at West Coast transformational festivals, local events, and private shows for the over 6 years. She is currently in collaboration with several influential music producers and musicians, including Desert Dwellers, Shaman’s Dream, Dream Seed, and Jerry Walsh. Her offerings vary from acoustic performance, sound healing, song circles, and live electronic fusion dance sets. Ohana is Brooke (Flying Bear) Hamre Gillespie’s solo musical project of all original music and compositions in the spirit of awakening and remembering the eternal soul. She creates ceremonial prayerformances of original music, video, art, clothes, dance and more; collaborating with musicians and artists from around the world. She is a visionary song-writer, vocalist and multi-instrumentalist, working with guitar, piano, ngoni, harmonium, violin, flutes, crystal singing bowls, Tibetan singing bowls, gong, shamanic drum and percussion, and is a music producer/engineer. Brooke is currently working on her first solo album. It will be featuring musicians from the Golden Drum community, members of Dream Seed, other world-class musicians and special guests. She is also a co-founder of Dream Seed: A Shamanic Sound Journey, a sound healing collective. Brooke is a member of the Golden Drum community. She is a student of Maestro Manuel Rufino, learning the intertribal Native American traditions, sacred sound healing, and sacred traditions of humanity. Brooke has also had the opportunity to study and perform with Incan sound healer and teacher, Tito La Rosa. Ohana honors the sacred traditions of the Earth and aims to connect to the heart of humanity and raise consciousness through sound, songs and healing. Ohana collaborates with members of Golden Drum, Didge Project, Dream Seed, Made In Prayer, Orzel Kondor Koliber and the Sacred Arts Research Foundation. Jerry Walsh is a musician and vocalist, weaving together ancient and otherworldly sounds from sacred traditions across the globe to create ceremonial shamanic journeys. He has collaborated with Merkaba (Kayla Scintilla), Srikala, Native American hip-hop artist, Supaman, and American beatbox champion, Mark Martin. He has been student of Taino elder, Maestro Manuel Rufino, for over six years, studying the indigenous shamanic cultures of the Americas and other wisdom traditions. Jerry has travelled to over twenty-five countries on five continents and spent a full year studying Buddhism and Himalayan culture in India, Nepal, and Bhutan from 2010-2011. He currently lives in Brooklyn, NY with the Golden Drum community when he is not on tour sharing music and meditation with partner, Ixchel Prisma. Xango Shola is the director of Sacred Song School and a founding member of Sacred Arts Research Foundation. Born to Jewish immigrants, Yasha is a renaissance being with a visionary spirit, who brings a spark of relentless passion to the planetary roundtable. He is a founder of Worldchangers Organization and the Blue Bird Black Cat Society as well as a Hip Hop Emcee and Energy-Worker. Over several years, he has traveled the world studying syncretic transformational practices, such as Dream-work and Taijiquan, and is an initiate of the ancient mystery schools, such as the Inayati-Maimuni Order. YashAkasha will be offering a Hip Hop workshop at Tribal Rhythms Gathering 2018. The Worldchangers Organization is a 501(c)3 public charity that is developing a Transformational School for spiritual growth and self-actualization. Our mission is to share Inner Peace with the people of Planet Earth at this key point in time.